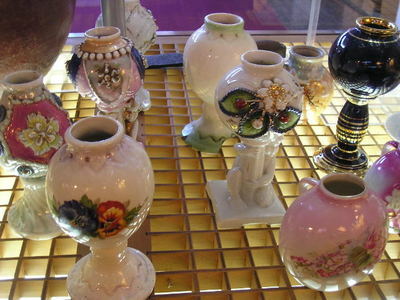 I'm talking about shows where people go to have their antiques or other items evaluated. Some like David Dickinson's Real Deal go to auction, while others like Antiques Road Show are just appraised. There are also shows like Bargain Hunters, where people try to buy items at car boot sales at as good a deal as possible. I like watching Dickinson's Real Deal because it is interesting to see whether the seller takes the evaluators offer to puts it in auction. I haven't seen that one here in Australia. I used to love Storage Wars, which I think falls into this category. Unfortunately, I learned a couple of years ago that the show is faked, and the valuable items planted in the lockers which went to auction. I haven't watched the show since. That is such a let down. I felt the same way about Pickers. The items recovered genuinely belong to those the pickers visit, but the pick is done before recording. the I thought about it, the more I figured they would have to fake it because it would cost too much money to follow the pickers or storage bidders or whatever for all their failures like all the trash filled storage lockers and antique shops with no good buys in it. Still, it's disappointing. What a con, but you are right; they would have done it after finding nothing of value in the participants lofts. If there is nothing to sell, there is no show. That was so shameful what they did. I really did enjoy that show too! Bargain Hunters is one I really enjoy. Then Antiques Road Show...Amazing what some people have an eye for, and make a tiny profit.